While some women seem to excel at making their money work for them, others battle from pay day to pay day. With this book, we tap into what these smartwomen know that the rest of us can learn from. Smartwoman will provide the necessary insights into how our personal view of money impacts on our financial behaviour and decisions; reveal who is competing for our money (retailers, online marketers, etc. ); and look at why it is so hard to find money to invest (the first step to getting rich is having money to invest  money makes money). It also covers how major life events, such as marriage and divorce, impact on us and how we can make smart financial decisions at these times. 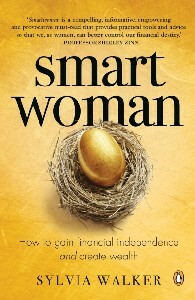 Smartwoman will show the reader how she can take control of her financial life by spending smarter, tackling debt and setting goals. It explains how money is made and how the financial markets work, as well as the universal principles behind growing wealth, irrespective of where one invests.